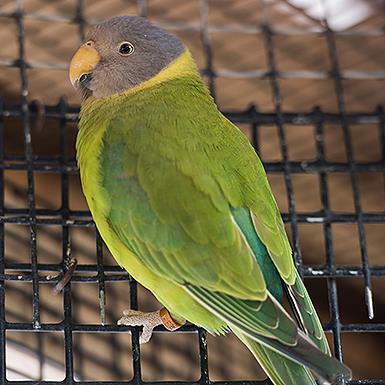 Jasmine is an adult female Plum Headed Parakeet. She came to Best Friends from a major hoarding situation, and we are uncertain of her age. She is shy and will require a patient person to help her learn to be comfortable in a home environment.